Imagine an entire Roman city, abandoned since the end of antiquity and unearthed after centuries of oblivion. Certainly closer to the Civitavecchia seaport than Pompeii. Built with the city of Rome as reference. Defending it from the Tyrrhenian Sea coast. Being a port city located at the mouth of the Tiber river. This is Ostia Antica. With its history and fate intimately connected to Rome. 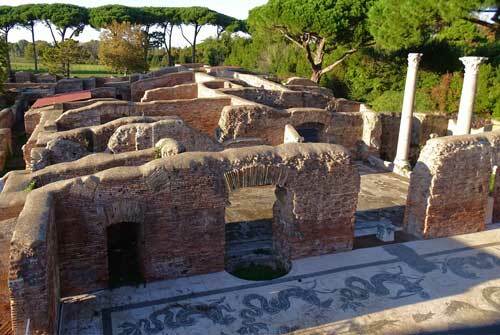 Visiting the excavations of Ostia Antica is like a walk through time. One of the many Civitavecchia tours available as a Half Day Tour or a Full Day Tour. 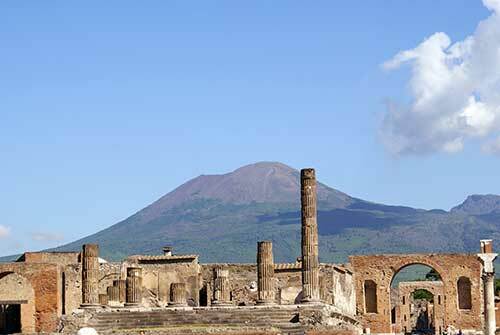 The ancient Roman city of Pompeii or Pompei was buried under the ashes of the eruption of Vesuvius in 79 AD. It is now a popular tourist attraction reachable from our Tours from Civitavecchia to Pompei. 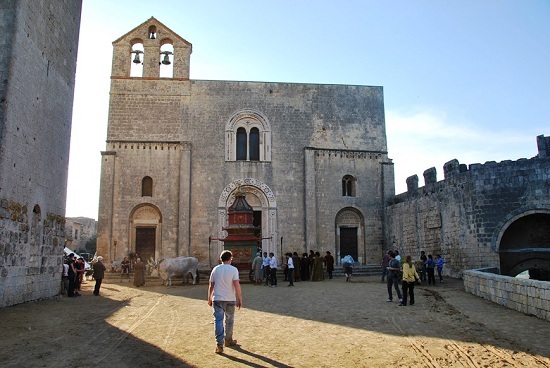 Now an open air museum part of the UNESCO Heritage patrimony. The Pompeii archaeological complex is located south of Rome. Not far from Naples, part of the Campania region. From the Civitavecchia Cruise port it is a Full Day Tour ending in Naples, Rome, or back to the Civitavecchia seaport. 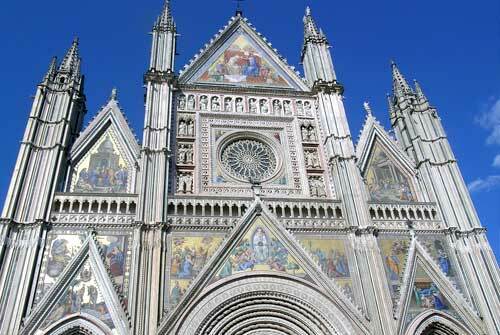 Why visit Orvieto? A small town near the town of Terni, in southwestern Umbria region. Located on a large volcanic flat tuff formation. Orvieto is one of the most striking cities in Italy to visit. The harsh limestone cliffs on which it stands, rise to the sky almost vertically, and complement the fortified tuff walls. Easily reachable with our Tours from Civitavecchia to Orvieto. An exceptional sightseeing location for all tourists. Aside from the beauty of the Italian landscape. There are multiple sites really worth seeing. Including the impressive Duomo Cathedral and the the St. Patricks Well Pozzo di San Patrizio. Both very impressive sites worth visiting in person. Tarquinia with its scenic medieval towers and painted Etruscan tombs is a must visit location in the Tuscia Lazio region. Included in the UNESCO World Heritage List, it is an open door into the Etruscan culture with Museums and ancient remains. Not far from the Mediterranean coast and the Civitavecchia seaport. An excellent tour near the Civitavecchia. Especially if paired with a Visit of the town of Cerveteri. Where it is possible to visit the necropolis located about two kilometers from the Cerveteri ancient town city center whch is certainly worth a visit. 80 Km approx. 50 miles one way. 312 Km approx. 190 miles one way. Arriving at the Civitavecchia Port with a Cruise ship? One of our Civitavecchia tours might be just the right way to visit the most beautiful spots in Rome! Choose a private car if you are up to 3 people or a mini van if you are up to 7 people. Optimize your time by visiting the city highlights and return back to Civitavecchia port in time for your ship’s departure. You will be picked up directly at the ship’s dock, right underneath the boat. The driver will be holding up a WheretoRome welcome sign. No walking around looking for the way to go. Our drivers will be right there waiting for you as you descend to shore. Sit back and we’ll take care of the transfer. Include a professional photographer for the ride and add a stunning photography service to your excursion. Bring home wonderful pictures in memory of your stay in Rome. Finally include everyone and not just everyone but the one behind the camera! Check out the blog for samples. Break up the shore excursion with a lunch stop at a typical Italian restaurant. A truly local roman culinary experience! Away from main stream tourism. In a genuine and characteristic Trattoria. Then continue your tour of the city. The excursion and Civitavecchia tours will begin with the Civitavecchia port Cruise pick up. Choose car or minivan service and the driver will be waiting for you directly at the dock station arrival. The first stop will be Saint Peter’s square after approximately a 1.5 hr transfer to the roman city center. Check out our Civitavecchia to Rome transfer page for all the details. Visit one of the most astounding squares in Rome. Have pictures taken in the most scenic spots. Choose to invest more time by visiting the Vatican museum. Purchase tickets ahead of time and avoid waiting in line as there is so much more of the city to see! 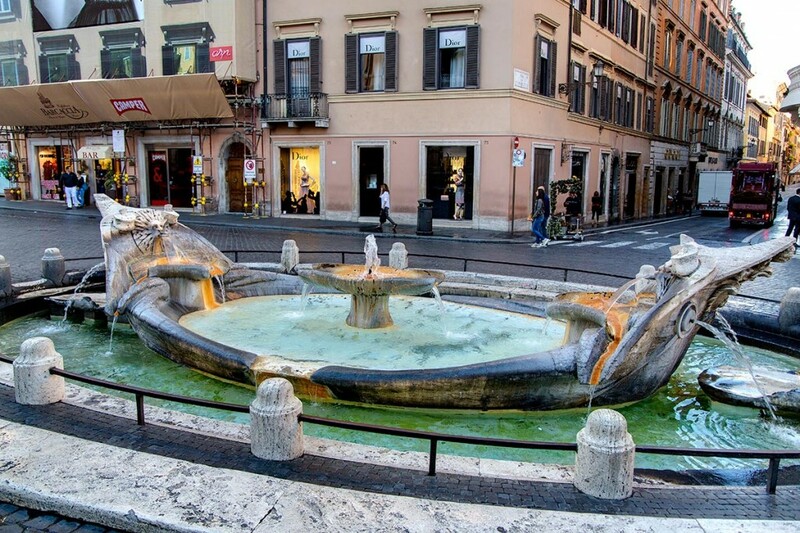 The nearby Gianicolo water fountain is next with the stunning view over the city of Rome from above. A great place to take scenic photographs. Then onward to visit Via Condotti and the fashion district. Browse through the street showcases from the top Italian fashion stylists. Walk up the Spanish steps and visit the Church Trinita dei Monti with a unique view over the city. Have lunch in a typical Italian Trattoria. Eat with the locals away from mainstream tourism and enjoy a great meal! Pick up the tour again with a tour of the Trevi Fountain. Currently under restoration work. Here is webcam live view on it. The largest and most famous Baroque fountain in Rome. A visit of the Roman Colosseum cannot be missed. But view it away from mainstream tourism. Enjoy a more secluded view from the nearby Monte Oppio hill. And enjoy the magnificent full of it. The Roman Pantheon. A great reminder of how the Roman Empire stood strong trough the ages. You will be taken back by entering the monument as you witness the light coming in from the large hole above. A 9 meter diameter hole called the Oculus. Really worth while photographing. Then onto the courtyard at San Ivo alla Sapienza which is also really worthwhile seeing. The city tour will end at Piazza Navona one of the most famous squares in Rome. Where one can enjoy one last ice cream before heading back to the Civitavecchia port in time for your ship’s departure. We hired your driver in Rome a little over a year ago and hope to hire him again smile emoticon He was more than a driver...it was like having a friend there and would love to hire him again on an upcoming trip! Car Service Rome to Civitavecchia is also available as a direct point to point transfer. If your Cruise ship continues south check out our Amalfi Coast Car Service from the Port of Naples. Or if it heading north please view our Tuscany Car Tours to visit Florence and the Chianti region.